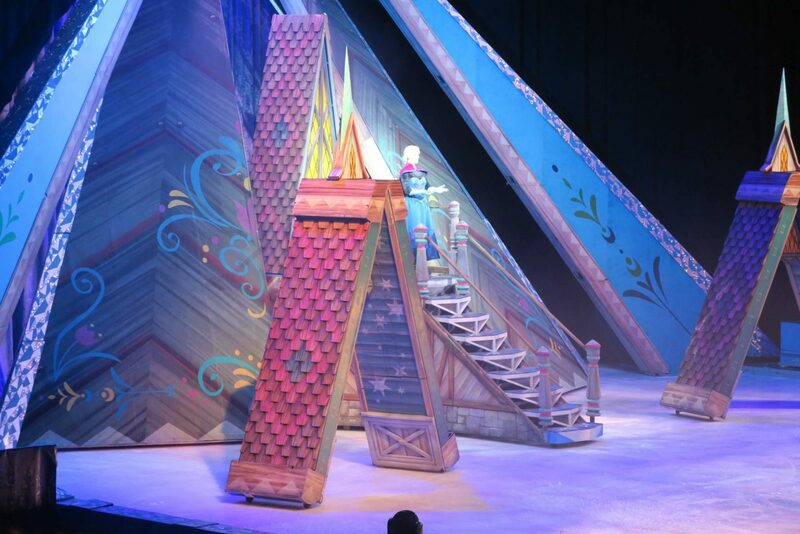 Review: Disney On Ice Presents…Frozen! I remember buying the Frozen DVD and I couldn’t wait to watch it with Alice. Unfortunately she had other ideas and it took a while for her to become aware of the world of Frozen. But, once she did that was it she was in love. We’ve watched the DVD so many times that we probably need a new copy. She has both the Elsa and Anna costumes, a Frozen lunchbox, drink cup. You name it we probably have it. 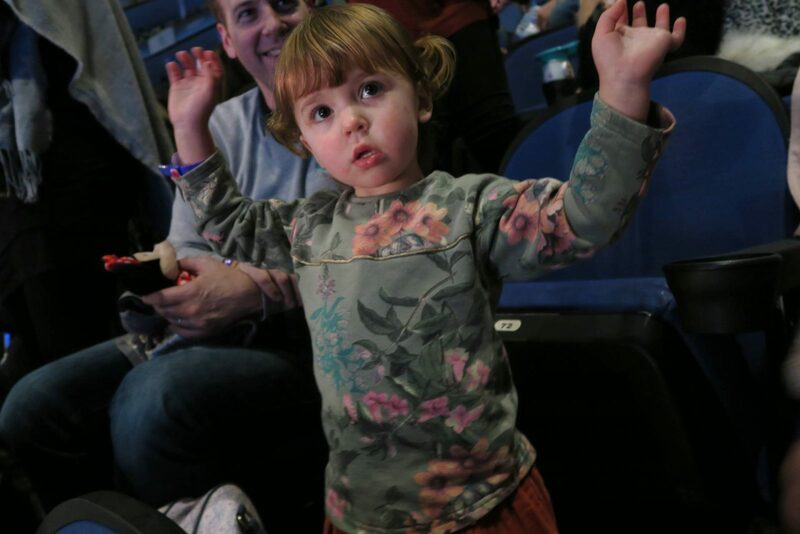 When we were invited along to watch the new Disney on Ice Frozen show, I knew that Alice would love it. 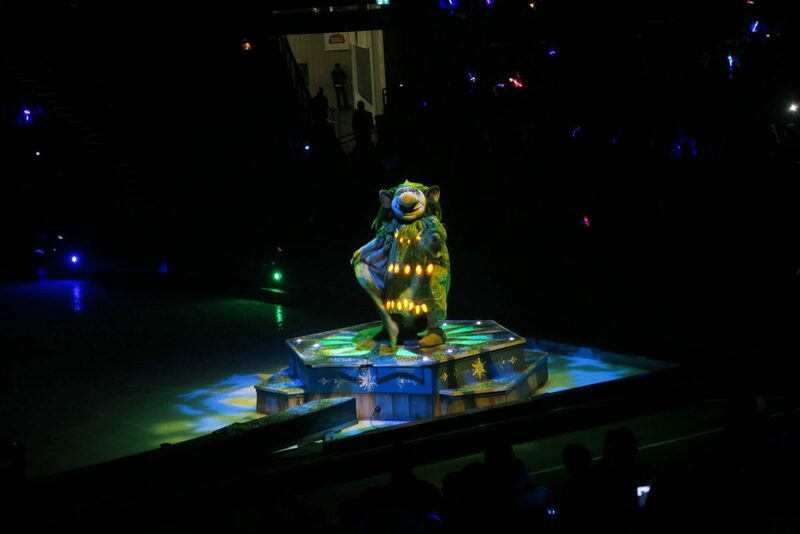 I took her to the Silver Anniversary Disney On Ice show last December with my niece and they had a great time. 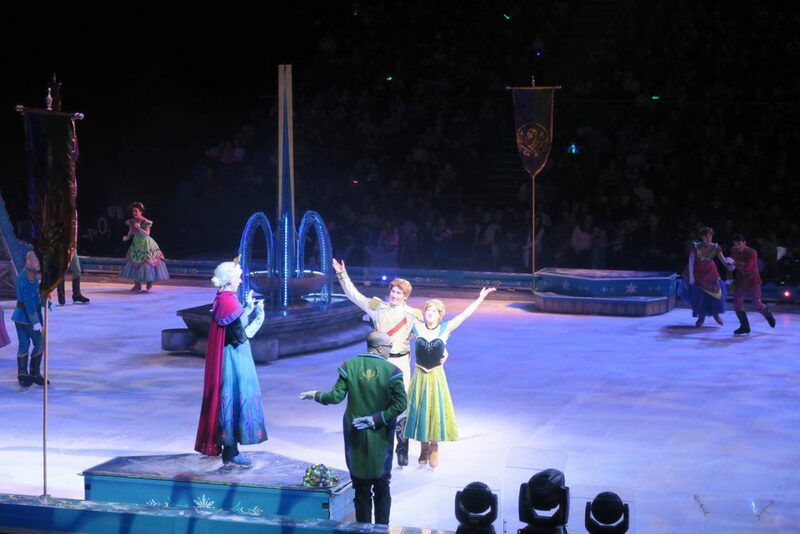 With Holly a bit older this year we thought it would be the perfect show for both the girls. 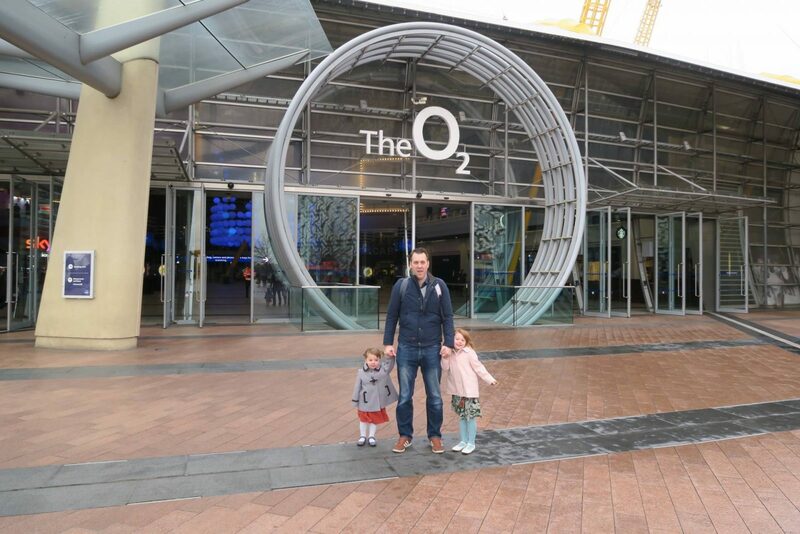 So, yesterday we got in the car and headed to the O2 Arena in London with two excited girls. The show started at 2.30pm and we got there in time to have lunch first. 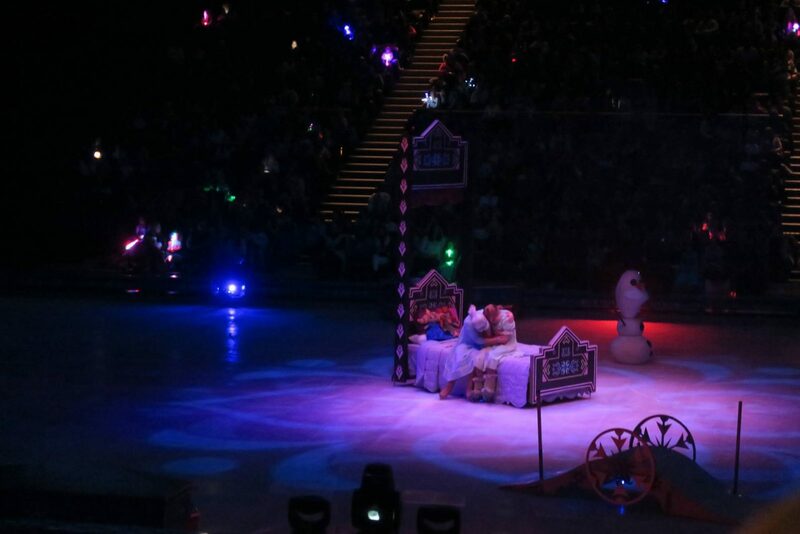 Andy then took Holly for a little nap before the show started. Alice and I headed to the SKY backstage area, because we are SKY customers we were allowed to enter. 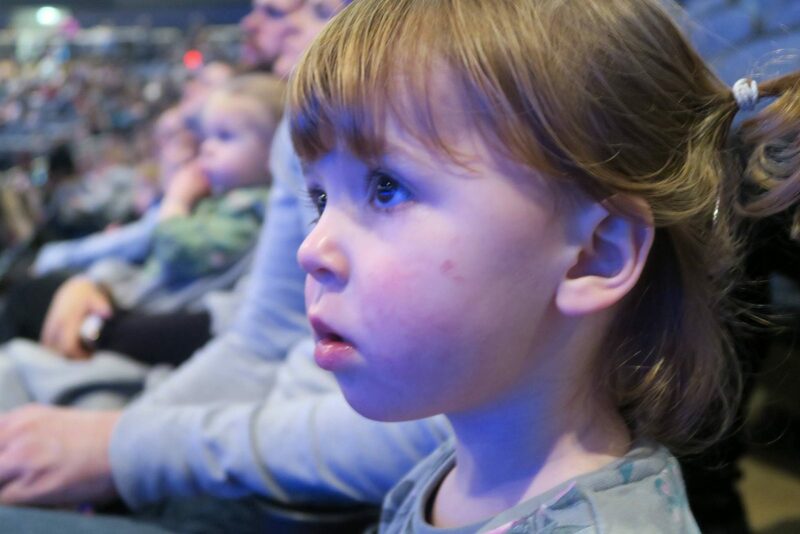 If you are heading to the O2 Arena for any event, not just Disney on Ice and are a SKY customer I recommended checking this out. It meant that we bypassed the long security queue, as they had their own one within the SKY area. In the backstage area they had games, Sofia the First was playing on the big screen and the best bit for Alice was they had face painting, which was complimentary. Ten minutes before the show we headed from there straight to our seats. Having somewhere to entertain the girls until we had to go in was perfect. 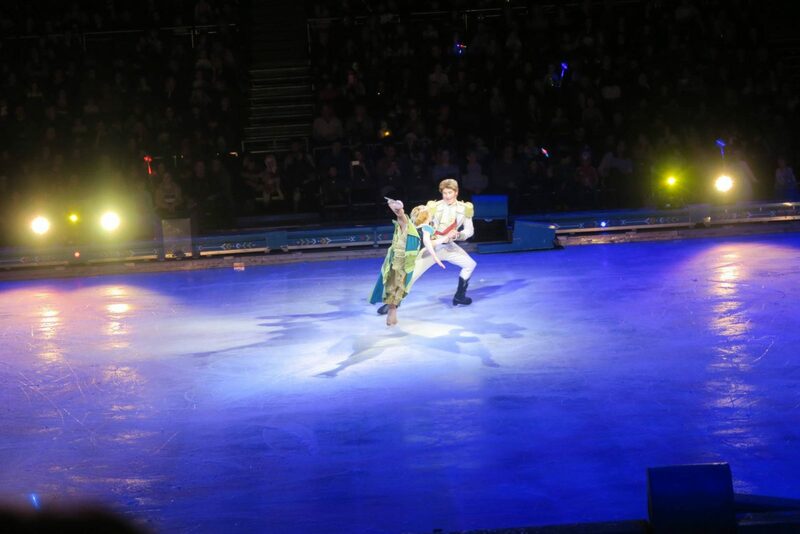 We took our seats and within a few minutes a couple of ice skaters came on to start the show, they got everyone dancing and the girls loved joining in. 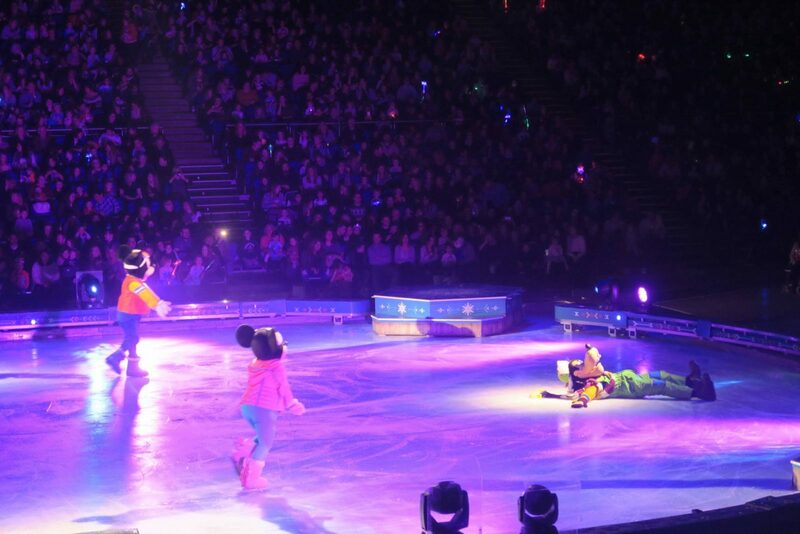 We were then greeted by some old favourites, Mickey and Minnie Mouse, with their friend Goofy. They did a great job of getting everyone in the mood and setting the scene for what was to come. It started with little Anna and Elsa and it was very clever how they showed them growing up and the troll appeared to fix little Anna. It was then Coronation Day and the story that we know and love was really getting underway. 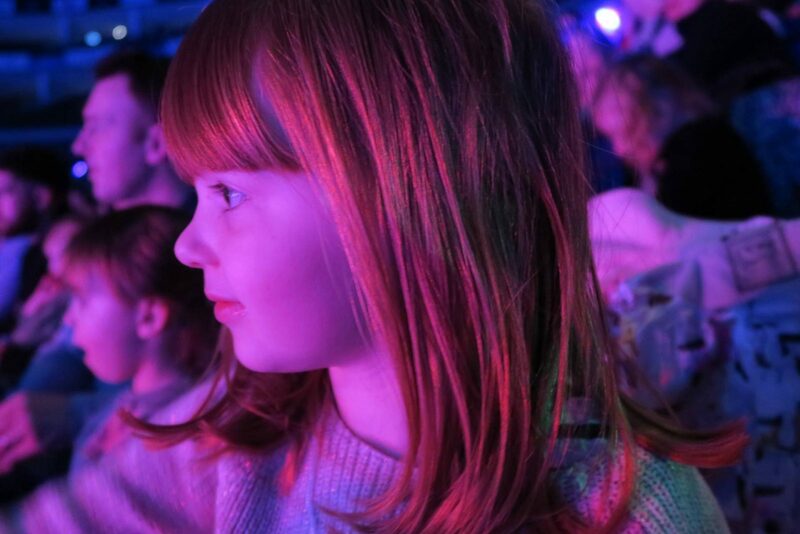 Alice was mesmerised the whole way through and had a permanent smile on her face. 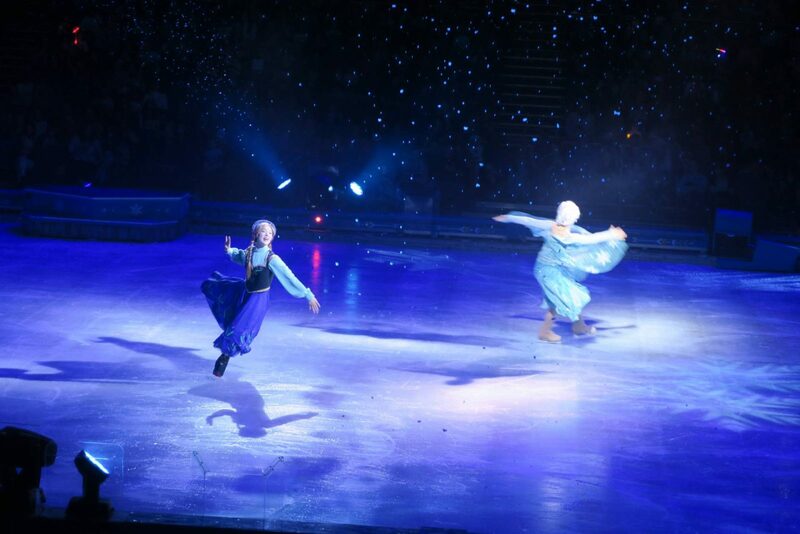 She did lean over to me at one point to tell me it wasn’t the real Elsa. When I asked her why? She replied because she isn’t in her blue dress. 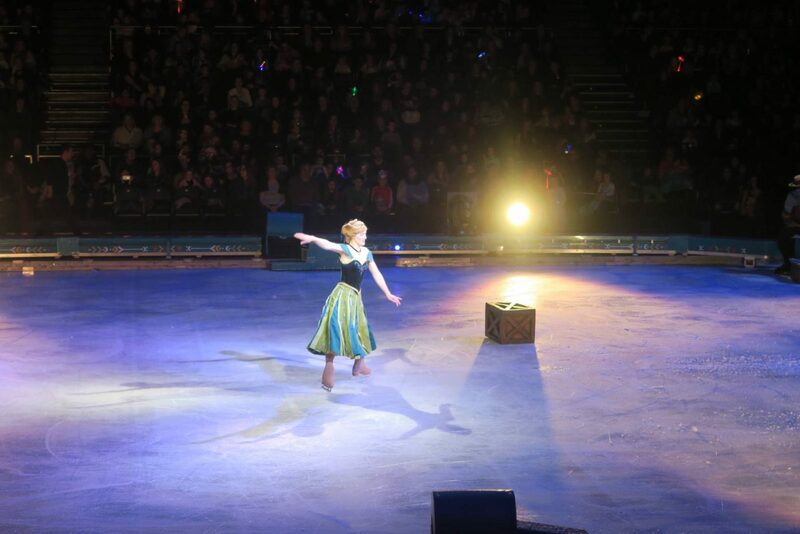 When I reminded her that comes later when she is at the ice palace, Alice was happy as it was the real Elsa! 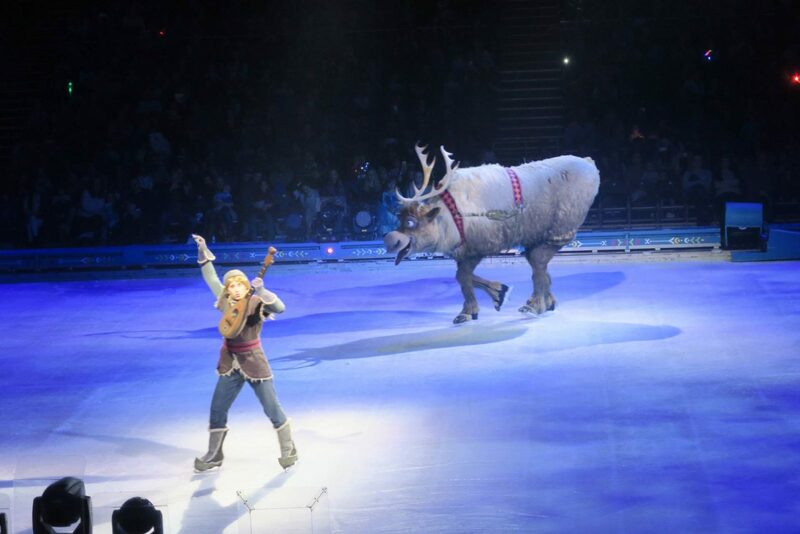 When Kristoff and Sven arrived, I was amazed at the great job the skaters did with Sven the reindeer. That can’t have been easy, but they made it look effortless. 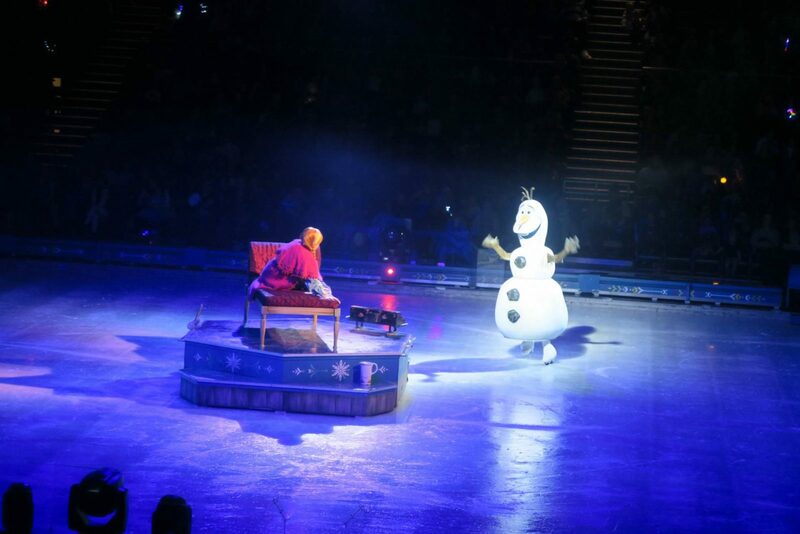 Then my favourite character arrived…Olaf! I just smile whenever I see him with that big grin on his face. It was then time for an interval which was about 20 minutes long and gave everyone the chance to pop to the toilet. There was plenty of refreshments and merchandise to buy, which is not cheap! 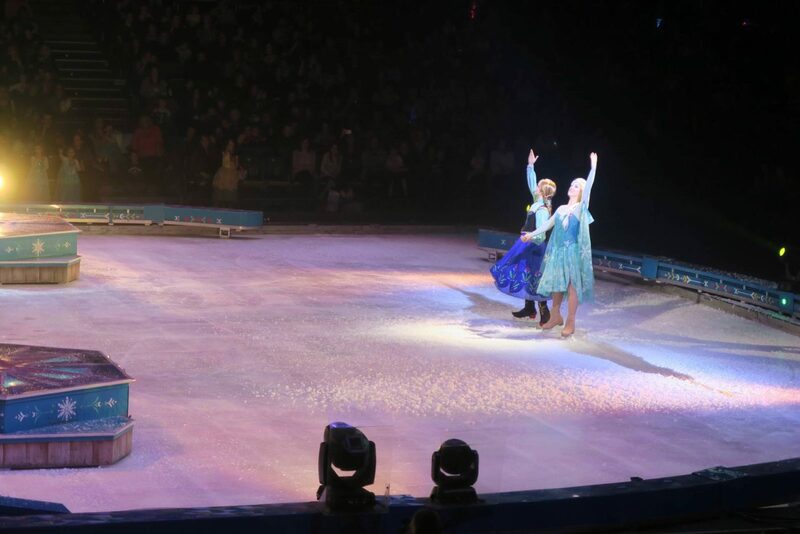 Then the bit Alice had been waiting for Elsa changes into her iconic blue dress and sings the song that we sing most days. I have to admit I was singing along, even if Alice kept giving me the ‘eyes’, as if to say stop mummy!! 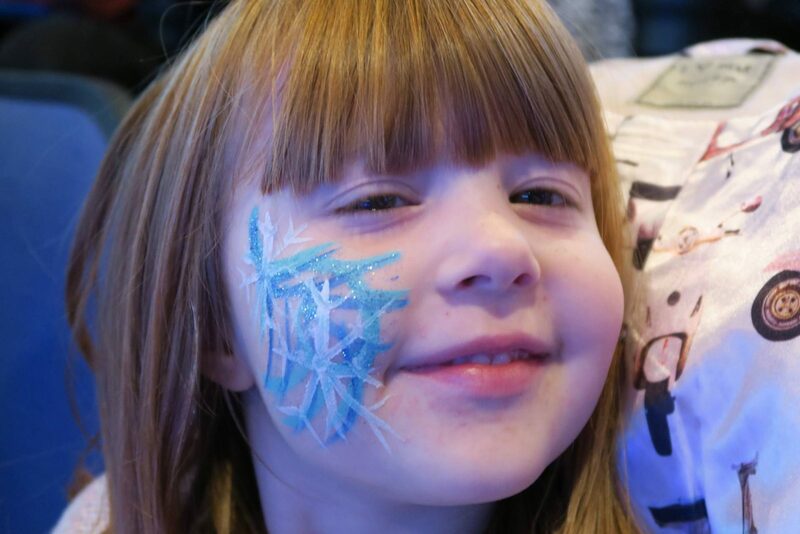 If you have little ones then be warned in the second part, there is this scary ice monster. Thankfully Holly is not scared of anything and it was more Alice clinging to daddy’s arm. There are also several bangs at different points in the show, so watch out for those too. What I loved was that the story moved on quickly and kept the girls attention. Holly is under two and half years old and I was worried if she would make it through the show. 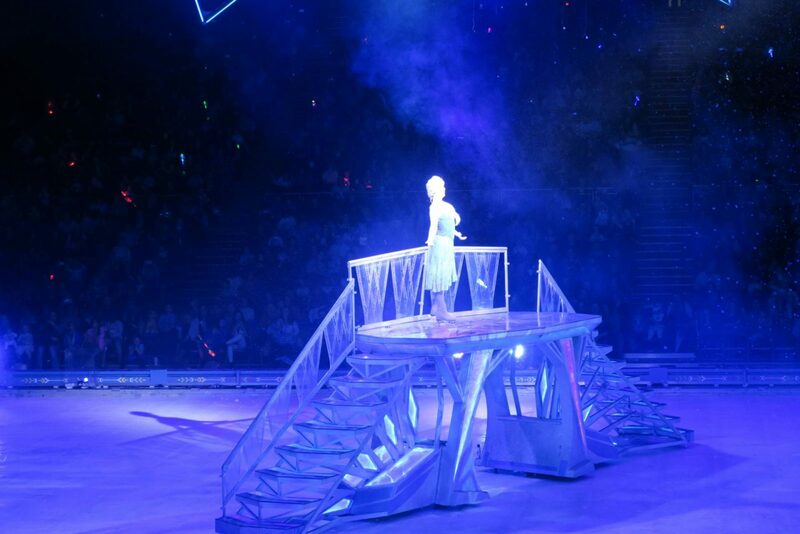 But she was a little superstar and was mesmerised by it all. I also had plenty of snacks in my bag, which helps when you can see they are getting fidgety. We all throughly enjoyed the show, even Andy, who has been subjected to the DVD many times! 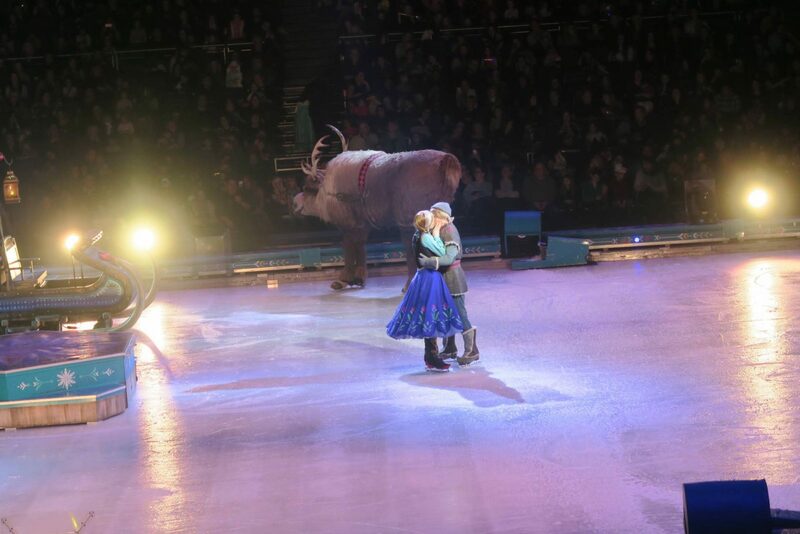 The skaters did an amazing job and they were all fantastic. 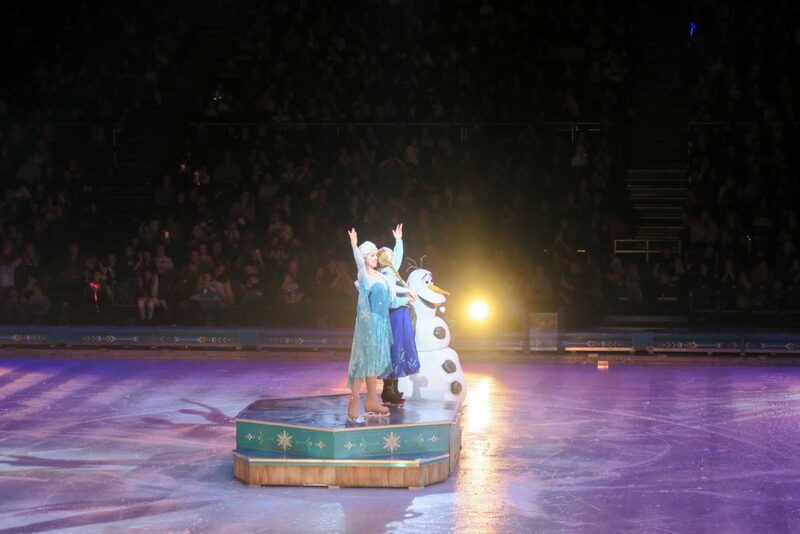 Whenever they had an opportunity they were waving to the audience, as there would have been a lot of small people that completed idolised these characters. It was the perfect start to our Christmas celebrations. 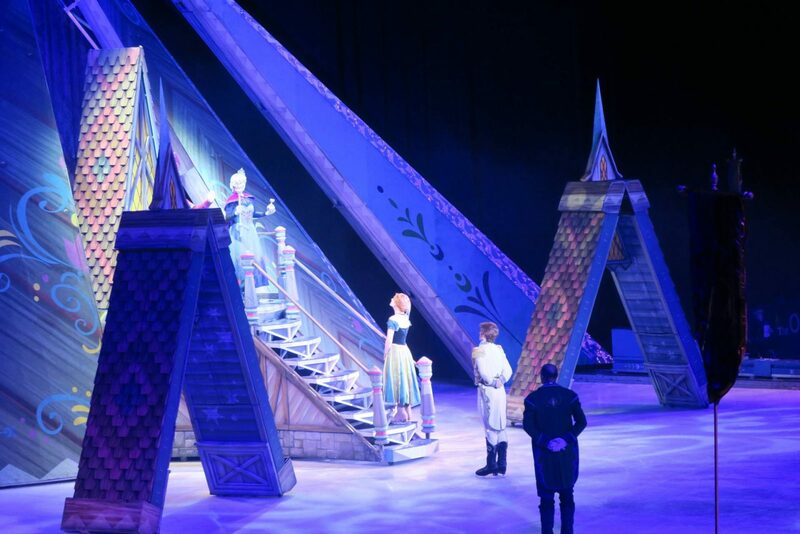 The Frozen Disney on Ice show at the O2 Arena is showing until 30th December 2016, so there is still time to grab a ticket. 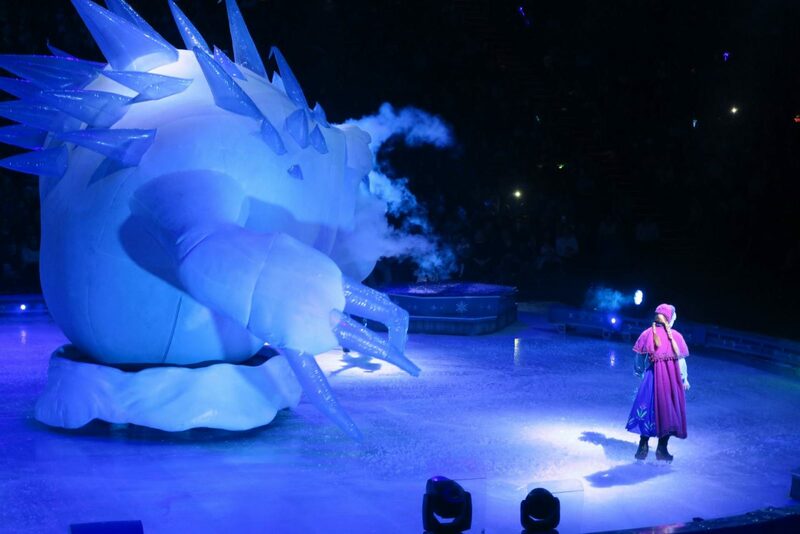 Or you could book tickets for the Disney On Ice 100 Years of Magic show which will be going nationwide in March 2017. 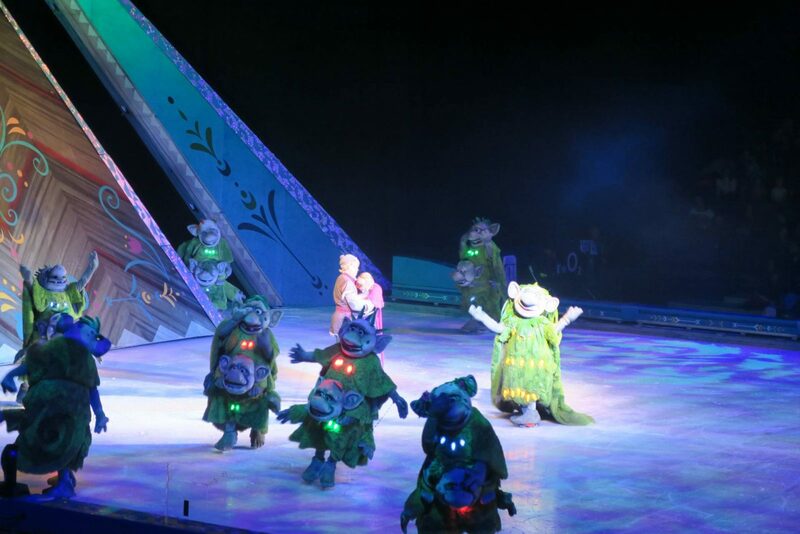 This looks like a great show with over 50 Disney characters, you can find all the details on their site here. Do you have Disney fans in your house? Disclosure: We were invited along to the show for the purpose of this review. As always all views and opinions are my own. Previous Post: « Meet a Blogger – Hot Pink Wellingtons…The Christmas Series! Wow this looks incredible! We have to go and see this. 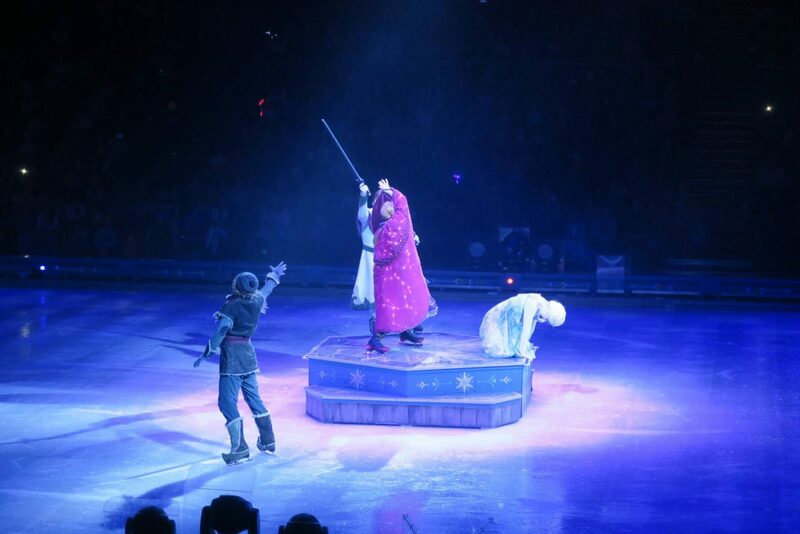 We were late to Frozen too. We’ve watched parts of it here and there but actually watched the whole thing tonight for the first time! This looks like such an amazing show. I’ve already heard great things. It sounds like you had an amazing time! We loved this show too, it’s so engaging for little ones isn’t it? I’m glad you all loved it and I hope you’ve had a brilliant Christmas.